Alloy material jewelry set, durable, smooth and easy to wear. Delicate craft, stunning. 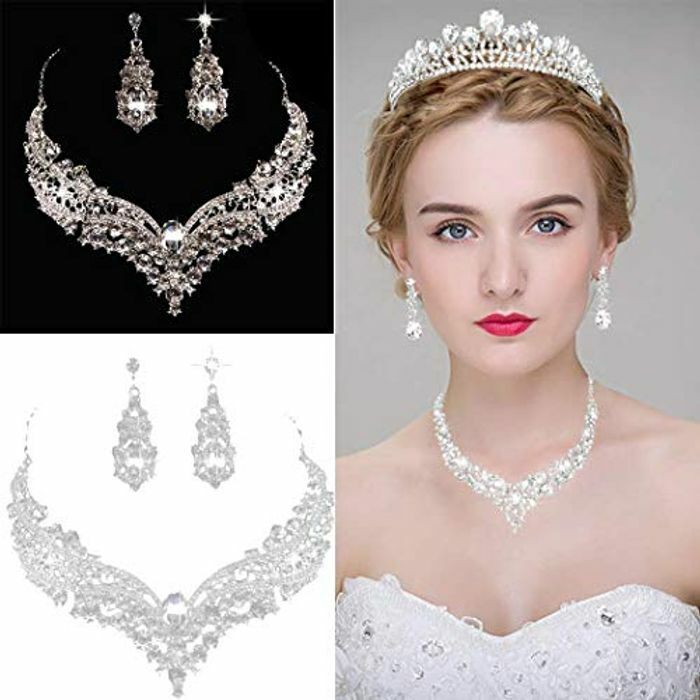 Crystal rhinestones pendant necklace and drop earrings set, fashion and elegant, suitable for bride wedding. Creative andcuseful accessory brighten up your look. A perfect accessory for yourself and your friends. Occasion: Wedding, Evening Party, Banquet, Gift, Dating, etc. SandyRhodes - just a thought - have you added the above code when you get to the checkout? I'm guessing it will reduce further. Nope! You're absolutely right - doesn't work.